In 1989 a number of colleagues and I were seconded on a three-year contract to the European Commission from the Irish Civil Service. One reason we got the contract was that we all spoke French pretty well. The UK and Ireland had joined the EEC in 1973, but French was still the language of communication within the EU institutions. This was partly for historical reasons and partly because the institutions were located in predominantly French-speaking cities: Brussels, Luxembourg and Strasbourg. The UK and Irish officials alone were not numerous enough to make a difference to the language regime. A few years later I was still there, but as a permanent English translator. The job mainly involved translating legislative proposals drafted in French for examination by the politicians and civil servants in Ireland and the UK. French reigned supreme. In 1993 something odd happened across the commission. The Swedes, Finns and Austrians had just joined. The cheery “bonjour!” one shared with colleagues in the lift began increasingly to switch to “good morning!” Over time, English was heard increasingly in the corridors and was used to draft legislation, as it was the first foreign language of an increasing number of new officials who needed a common language for consultation purposes. The 2004 enlargement brought in a number of officials from 10 new member states, nearly all of whose national education systems offered English as first foreign language, not French. So for practical reasons, multinational units in the EU institutions found themselves forced by circumstances and education to use English. English allowed the Polish official talk to her Italian colleague who in turn needed to seek advice, in English, from their Finnish boss. By 2015 it was estimated that more than 80 per cent of new draft legislative proposals were being drafted internally in the commission in English. This language change, over a relatively short time, was hard to take for many older staff who had spent their entire careers working through French and whose knowledge of English was shaky, to put it mildly. The work of the commission’s English language translation service changed radically too, as a result: instead of translating outgoing legislation our main task involved coping with the deluge of incoming documents from the member states and other interested parties in the various official languages, not to mention the occasional piece of Russian, Turkish, Ukrainian or Chinese. An English translator at the commission now translates from six languages on average, to cope with the translation demand. Regardless of the nationality of the officials requesting translation of a document in a language they cannot read, they almost invariably ask for an English translation, so their colleagues can read it and be consulted on it as well. This is the situation today and it is unlikely to change. What could it change to, with national education systems so geared towards teaching English as first foreign language? This educational skew towards English perhaps goes some way to explaining why the UK and Ireland have been the destinations of choice for many migrant Europeans able to function to a greater or lesser extent in English. There have been suggestions that English will no longer be an official EU language after Brexit. Such legalistic musings are, in my view, just that. While French and German are also official working languages of the EU institutions, the dominant position of English as the primary vehicle of communication is too deeply ingrained at this stage to change. If legal changes are needed to keep English official, I am prepared to wage a large bet they will be made in double quick time – and probably far sooner than the conclusion of the negotiations on Brexit. Sad and all as Brexit is, it opens up opportunities in the EU institutions for Irish citizens. English-speaking officials, both administrators and clerical assistants, are in great demand for their native English skills. Future selection competitions for recruitment, without competition from British nationals, should therefore favour Irish nationals a little more than in the past. This goes in particular for competitions for English translators, from which UK nationals may be excluded. While a knowledge of French or German is currently specified for English translation competition purposes, along with one other official EU language, languages such as Polish, Greek, Finnish, Latvian and Lithuanian are very much in demand by the English language departments of the various institutions. I am confident that Irish people, whether as administrators or translators, will continue to have a positive and influential role to play in the EU institutions and our native command of English will even enhance our value to the institutions. From an SEO perspective it’s best to complete keyword research before doing the translation and identify important keywords to target. If you have an English language website and want to make it multilingual, then where do you start? There are many technical challenges that need to be overcome and for a large site to be successfully translated it will require the skills of a translator, a web developer and an international SEO consultant, working together to create a harmonious end product. From an SEO perspective it’s best to complete keyword research before doing the translation and identify important keywords to target. There are bound to be keywords that aren’t important in one language, but are in another. The French don’t really have a “last minute holidays” mentality in the same way as the Brits do and this is reflected in a much smaller search volume. If you were translating “Last minute holidays” into French, you’d therefore be better grouping it in the “Vacances pas cher” section and optimizing it for this search term instead. If you were translating your website the other way and chose to translate “Vacances pas cher” as “Cheap holidays” then you would be targeting literally 5000 times more searches than “Cheap vacations”. Changing your keyword focus can literally make the difference from getting no enquiries or sales to getting plenty! We’ll use translating an English website into French throughout this article, however the advice is equally valid for any other language, or to create a multilingual site in three or more languages. Firstly, the translation has to be completed manually. Google have strict anti-spam rules and class auto-generated content as spam. In their list of auto-generated content(link is external) they include “Text translated by an automated tool without human review or curation before publishing”. Simply using an automatically translated version of your website is likely to incur an SEO penalty, as well as creating content that makes little sense to your readers. 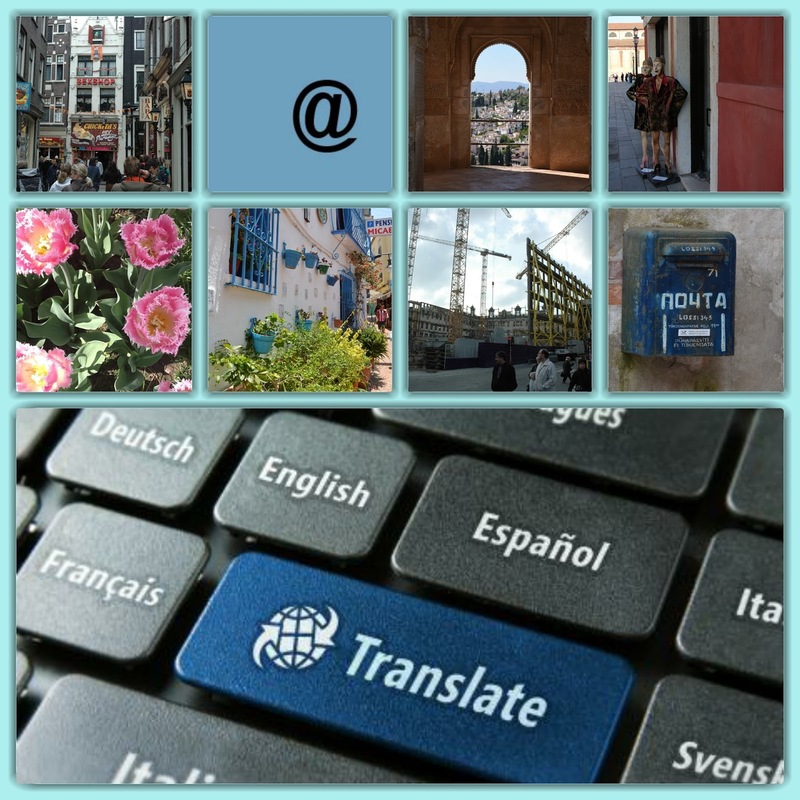 Use an open-source or custom CMS to assist with your translation. CMS systems like WordPress and Drupal have supplementary modules that are easy to install that will translate many of those niggly bits of a website for you – default welcome emails, login messages, ecommerce messages, etc. These CMS systems also have interfaces that show you what’s already been translated and allow you to translate the website directly online. Export products or other bulk information into .csv files. Most websites store information in databases and if the web developer exports these into a .csv file, then the translator can translate them in Excel and send them back in the same format where they can be easily imported. This is much faster for both parties than having the translator manually copy content from the site and send it to the web developer in a Word document. There will be elements of a site that aren’t included in the .csv files, but it will cover the bulk of it. If you’re planning on expanding into a new language and don’t have a CMS that lets you do this easily, then we recommend reading an article on how to translate your website into French(link is external). This discusses 5 different solutions and has a questionnaire you can complete to tell you which is the best solution for your website. Completing keyword research, creating a fluent translation and using a suitable CMS all go a long way towards creating a user-friendly multilingual website with good SEO, however to be sure of success, you should also consider cultural factors and ask a few local people to visit your site and give you feedback. Certain images and colors symbolize different things in different languages and to ensure you create a professional impression it’s best to ask local residents for an honest opinion. Martin Woods is an international SEO consultant for Indigoextra Ltd(link is external) with 17 years’ experience. When he’s not completing client projects and researching Google’s latest algorithms, he spends his time homeschooling his two teenage boys and playing Ultimate Frisbee. Martin’s also written over 500 cryptic crosswords for The Big Issue. Cup of coffee. Flamenco Center, Havana, Cuba, Latin America. Photo: Baltic Media. Language is crazy. Almost as crazy as coffee people. But the language of coffee has its own madcap cadence. In every industry and market the lingua franca is often a complex mashup of technical jargon, local input, and global agreement. All of us who call the wonderful world of specialty coffee home know that we have our own language that can easily cause confusion and division when misunderstood or misapplied. But for those of us who work with coffee professionals on the coffee-origin side in Latin America, there is an additional layer of communication challenge. 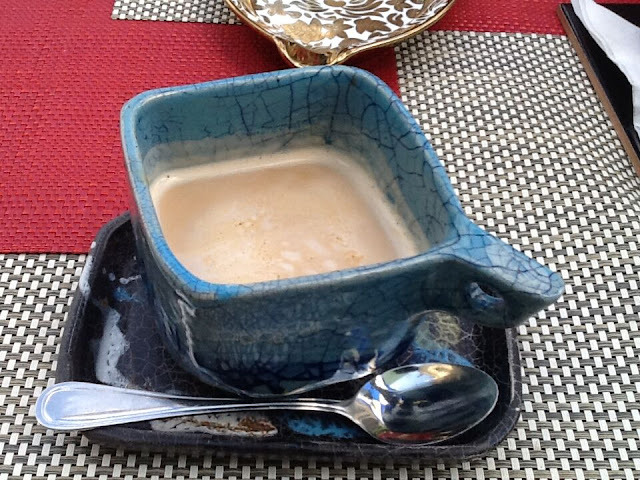 The language of coffee in Latin America is Spanish. This “Coffee Spanish” doesn’t abide by simple Spanish translations. More often than not it is a tangled web of jargon, slang, and colloquialisms sprinkled with enough regional and country differences to make your head spin. These language differences can make or break relationships and business agreements. As coffee professionals on the buying side (buyers, roasters, baristas, importers, exporters, etc. ), the final handshake is the culmination of a long series of events. It might involve hours of air travel, hundreds of miles of driving down dusty roads, hiking the farms, and finally cupping the coffee. Success in coffee is predicated on knowing both technical jargon and social niceties that build relationships. A myriad of challenges awaits the coffee professional aiming to bring home the pride of a producer. All the hard work, dedication, and relationship building can be shattered with a misunderstood technical processing term or poor understanding of cultural and societal traditions. The intricate details that play a hand in negotiations and relationships are some of the primary challenges for the vast majority of coffee professionals. It is more than a simple lack of Spanish or English fluency, but comes down to understanding the coffee-centric technical language used in both English and Spanish. Knowing what the local preferences are for appearance, conversation, and business often play unseen, albeit powerful, roles. Communication is a tricky subject in Latin America. Green buyers and drinkers from consuming countries bring with them their own tasting lexicon and grading standards. And often the words and phrases they have learned in other producing countries. Though sometimes understood by larger, more storied operations, these items rarely translate for the farmers, millers, and other men and women making the daily operation run. Scouting for a new relationship and dashing off into the mountains of, say, Bolivia without understanding the differences in language, grading, and growing that exist there will torpedo any chance of establishing a meaningful relationship. Take, for example, interpretations of weight and distance. A quintal is a Latin American unit of measure with different meanings to different people in the supply chain depending on a number of technical factors and math equations. Assuming it means one thing in negotiations when, to the producer, it means something else, can strain relationships, logistics, and financial agreements. Success in coffee is predicated on knowing both technical jargon and social niceties that build relationships. A simple translation of the term morteador in Mexico may be understood, but applied in Peru the producer could, at best, be confused and, at worst, be insulted that you wish he would destroy his coffee. Over years of traveling to coffee-growing communities and attempting to communicate with people at every point along the coffee supply chain, we have found that communities often use very different words and phrases for the exact same technical terms involved in coffee from seed to cup. Many of these words defy literal translation, resulting in frustration. It is important to understand the culture and try to be the best damn Ecuadorian or Salvadoran or Mexican you can be when visiting. Leave your American, British, or Korean world behind and step into the shoes of your hosts. Drink the local beer, visit local festivals and shops, and most importantly, express sincere gratitude for the time spent and people met during your journey. In other words, lighten up and dive into the local culture. Many of the experts and producers we spoke with in producing countries could not express this enough. “Don’t pick your nose at a meeting,” writes Luis Rodrigues of Caferium in El Salvador, “and always bring a little present for your host.” You should know that everyone loves coffee T-shirts. Bring a few from home and a nice selection of coffees from remote regions. You will win coffee friends for life. Coffee friends are the best friends to have. Improving your understanding of the language of coffee is a killer foundation for any coffee professional. Whether you are a green coffee buyer, roaster, barista, café owner, importer, or production bagger, it behooves you to learn Spanish as a language and, as importantly, to learn Coffee Spanish. Knowledge and application of the social norms and cultural variations of the regions in coffee lands will build meaningful coffee relationships that last. At it’s heart, specialty coffee is about people, and the key to opening the door to people is language. · mas o menos = more or less. But really: I will try; it will be sorta close to what we just sorta agreed to; and other wonderful ideas. · está bien = it’s OK. But really: chillout, relax, don’t worry, I forgive you, it’s cool; invariably leads to sharing a beer & laughing. · chivo/chido = cool. But know which version each country uses as using the wrong one is an insult. · Me gusta mucho su café! = I like your coffee! · beneficio humido/seco. In most Latin American countries (but not all) these are the terms for a wet mill/dry mill. · pergamino/cafe seco = parchment coffee (coffee with yellow husk still on). *Writer: Andy Newbom is director of coffee for IPCoffees Speciality Imports and Andrew Russo is the founder of consultancy company Russo Roasts Coffee. The two authored Coffee for Spanish Buyers, a new guide to help overcome communication barriers at origin. Spanish is spoken in Spain and former colonies, including Central America, South America (except Brazil), Equatorial Guinea and Western Sahara, parts of the US and some countries in Asia. Spanish is also called Castilian. Next to English, Spanish is the most spoken language in the world. No other EU country has English as their official language and so it could lose its status. English is one of the EU’s 24 official languages because the U.K. identified it as its own official language, Hübner said. But as soon as Britain completes the process to leave the EU, English could lose its status. English is one of the working languages in the European institutions, Hübner said, adding: “It’s actually the dominating language,” the one most frequently used by EU civil servants. The regulation listing official languages of the EU would have to be changed unanimously by remaining countries if they want to keep English as an official language, Hübner said. However, an EU source explained that the regulations governing official languages are themselves subject to more than one translation. The 1958 regulation regarding the official languages of the EU, which was originally written in French, does not say clearly whether a member country – Ireland or Malta for instance — can have more than one official language, an EU source said. Interpretations of the French wording tend to conclude that this might be possible, whereas the English version appears to rule this out. When Ireland and Malta joined the EU, English was already an official language, which is why the two countries asked for Irish and Maltese to be added to the list. “If a member state has more than one official language, the language to be used shall, at the request of such state, be governed by the general rules of its law,” the regulation says. The Commission has already started using French and German more often in its external communications, as a symbolic move after Britain voted to leave the EU last Thursday, according to the Wall Street Journal. Meanwhile, the president of the regional council of Tuscany, Eugenio Giani, called for Italian to become one of the official languages of the EU. “We have not defended … our language as we should have, both on the European continent and in the world,” Giani said following the British referendum result.